One of the leading Republican newspapers of Southern Illinois is The Greenville Advocate, which has long been recognized as a director of party policies and a supporter of its acknowledged candidates, as well as a newspaper singularly free from sensationalism, its policy always having been to give to the reading public the best to be found in journalism. 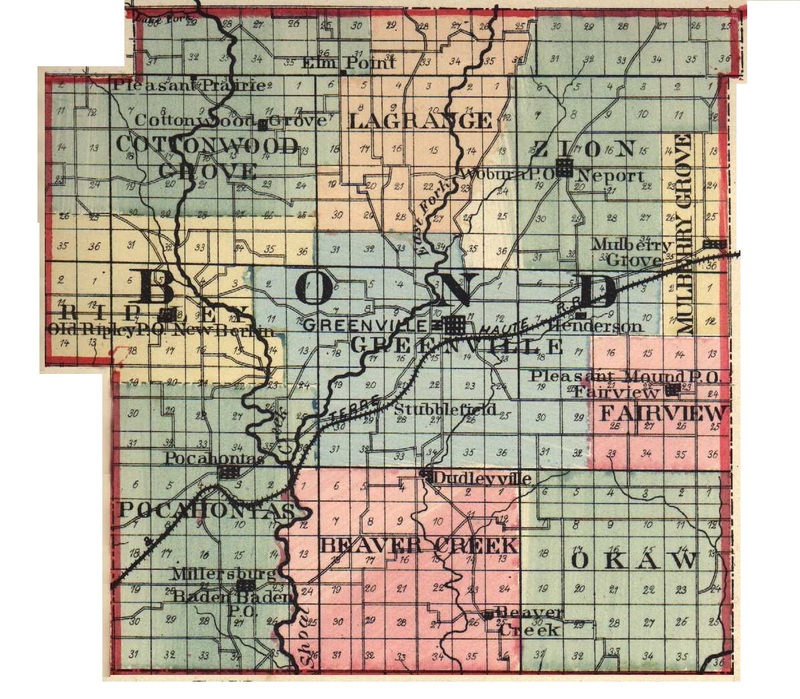 Its rapid growth in favor among the people of this section of the state is due in large part to the efforts of its managing editor, William Clark Carson, who holds a prominent position among Illinois newspaper men, and a citizen whose sincerity in developing the interests of his community has never been questioned. William Clark Carson was born at Woodburn, Macoupin county, Illinois, August 7, 1874, and is a son of William T. and Abbie E. (Colcord) Carson. William T. Carson was a native of Franklin, Tennessee, where he was born February 8, 1832. When he was eighteen months old he was brought by his parents, Mr. and Mrs. John Blackburn Carson, to Macoupin county, Illinois, and there the family resided on a farm until 1845, in which year they removed to Woodburn. His father passed away in 1886 and his mother three years later. As a young man William T. Carson engaged in the mercantile business in Woodburn, and then spent four years in the same line in Greenville, but in 1 873 returned to Woodburn, where he followed commercial pursuits until 1892, when he retired from business activities and came to Greenville. He served as postmaster during five administrations at Woodburn, being an independent Democrat in politics, and for twenty years acted in the capacity of justice of the peace. On May 18, 1856, he was married in the old Congregational church at Greenville, to Miss Abbie E. Colcord, who was born in Wilton, Maine, March 7, 1837, and came to Illinois in 1840 with her father, Samuel Colcord, making the journey in a covered wagon. Samuel Colcord,, who was one of this county's most highly esteemed citizens, died in November, 1893. Six children were born to Mr. and Mrs. Carson, namely: Eula, Clarence H., Francis P., Ella, William Clark and Harriet S., of whom Francis P. and Ella are now deceased. At the time of the dissolution of the old Congregational church Mr. and Mrs. Carson became connected with the Presbyterian church, of which they are still members. William Clark Carson attended the public schools of Woodburn, the Bunker Hill Military Academy and Shurtleff College, but did not complete his course in the latter institution, owing to failing eyesight. Later his parents removed to Greenville, where he attended Greenville College, and graduated therefrom in the class of 1895, with the degree of Bachelor of Commercial Science. In the following year Mr. Carson entered the employ of W. W. Lowis, of The Greenville Advocate, and he has since been connected with this paper. He became city editor in 1898, and when Mr. Lowis was appointed postmaster of Greenville, in May, 1906, he took over the active management of The Advocate, in which he secured a half-interest May 1, 1908, the firm style at that time becoming Lowis & Carson. Also at that time he assumed the editorial and business management of the paper, and acts in that capacity at present. The Greenville Advocate is one of the oldest publications in the state, having been in existence for more than fifty -four years, and since March, 1911, has been issued twice a week, on Mondays and Thursdays, the former containing from four to ten pages, and the latter from eight to sixteen pages, filled with accurate and comprehensive news and illustrations, while the editorial page wields a strong influence in matters of importance along all lines. One of the most modern plants in this part of Illinois has been erected for its use, and everything that goes to make up a wide-awake, up-to-date newspaper has been installed here, including linotype machine, cylinder presses and a modern folder. Three men are employed in the editorial department and six in the mechanical department and press rooms, in addition to a large force of carriers, and the circulation has grown rapidly in late years, now being more than two thousand one hundred. Mr. Carson believes in progress, has taken an active interest in local affairs and has identified himself with all movements tending to better his community in any way. He is stanch in his support of Republican principles, but has not sought public preferment on his own account. He is a member of the Modern Woodmen of America and the Woodmen of the World, while his religious association is with the Presbyterian church, of which his wife is also a consistent member. On October 14, 1900, Mr. Carson married Miss Louise Seawell, daughter of the Hon. Charles W. Seawell, who served two terms in the Illinois State Legislature and fifteen years as an internal revenue agent, being for three years in charge of the Chicago internal revenue office. Mr. and Mrs. Carson have had one child, Mildred, who is attending school. Extracted 10 Nov 2018 by Norma Hass from 1912 History of Southern Illinois, by George W. Smith, volume 3, pages 1119-1120.